If you are looking for a wedding band to perform on your big day, you are in the right place. Vibetown has been providing fantastic live music for weddings across the UK, for over a decade. We know how to keep your guests, and you, up and dancing, all night long. Naturally, we have a playlist, but you are the ones that decide which tracks are used for your wedding. We know everyone has different tastes, and that you know what will get your friends and family up and dancing. So, you select the tracks, not us. Provided we know how to play it, we will add it to our set. We play energetically, so, naturally, we have to take a shot break from playing during the evening. Doing this ensures that we have the energy to perform every song perfectly, but you are the one that chooses when we take those breaks and how long each set is. It is your wedding reception, so we work with you to fit our performances around what you have planned for your special celebration. If you are planning a drinks reception, or wedding breakfast, we can provide live music for that part of your day too. Our band members are very talented, so if you need a jazz quartet, or piano soloist to play gentle background music, at different points of the day, we can do that too. You can find out more about those services on our extras page. There is also the option for us to play pre-recorded songs, as well as live music. We use the latest sound equipment, so you do not have to pay a DJ to play between our sets, or before everyone sits down to eat. Just tell us what you need, at the time of booking, and we will play pre-recorded music, up until midnight. The best thing is that there is no additional charge for this extra service. We know that the first dance is an important point in any wedding celebration. Vibetown will perform your special song, in the way you want it played. The music for your first dance is included in our wedding band quote. We have won multiple Wedding Industry Awards, and many families use us for all of their weddings, parties and celebrations. As a result, we can genuinely say that we are one of the best wedding bands in the Leeds, Harrogate, York or Manchester area. When you book with us, you will not be disappointed. You will like our prices too. The fact that you can book direct with us means you will not have to pay an agent’s fee of between 15 and 20%. As a result, you get great value for money. All you need to do to book us is to get in touch and ask us for a free, no obligation quote. We pride ourselves on being a Wedding Band that provides the very best Live Music & Entertainment there is, performing all your favorite songs in a dynamic, energetic, and professional manner… there simply isn’t another Wedding Band that comes close! Vibetown perform at Weddings all over the UK & Europe and cover cities in the UK such as… Leeds Harrogate York and Manchester. If you’re interested in a personal quote for your Wedding then feel free to get in contact on our Contact Page. 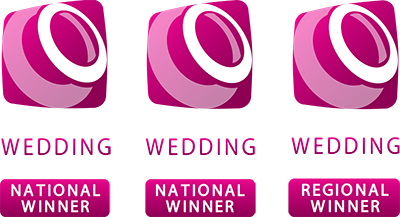 Regional Winners and National Finalists for the 2014/15/16 Wedding Industry Awards!